Getting local food into a public school system’s meal program seems pretty much like a no brainer. 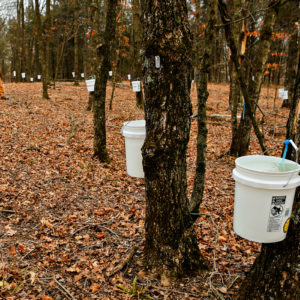 The practice would boost local economies and support smaller-scale farms. It would likewise reduce the environmental impacts related to wide-range distribution. Perhaps most importantly, offering locally sourced lunches would provide the potential for connecting students to agriculture and providing nutrition education, paving the way for future shifts to our food system. Yet the reality of getting local food into school districts has proven remarkably challenging for a myriad of reasons, the largest being cost. Logistical challenges such as coordination with farms, staffing lunchrooms, and processing raw ingredients have all made implementation difficult. But despite the hurdles, providing schools with locally procured food remains a high priority for many districts, and movements are afoot to make local sourcing the norm. Here are five different methods that schools are using, often in combination, to increase their local food sourcing. The challenge for individual schools or districts to identify and coordinate with farms in their area can hinder their ability to initiate local food standards. This tends to be why the default is to use food service management companies (FSMC). The majority of public schools in the U.S. lack processing abilities: Food preparation takes staff, skills, equipment, and time. Thus, most schools tend to rely on FSMCs that source, process, and distribute foods. In most cases, school meals are delivered in pre-prepared form, allowing school cafeterias to be equipped with nothing more than microwaves. This reduces expenditures related to a fully-trained kitchen staff (with, for example, knife skills) and industrial food-service kitchens. FSMCs assure food safety, ease, and affordability, making them highly appealing to administrators and lunch staff. Most distributors focus their priorities on delivering on the promises listed above and regrettably often at the neglect of procuring locally or ethically sourced products. However, this trend might be shifting. Sysco, which touts itself as being the largest foodservice distributor in the world, has established a system for tracking provenance that allows customers to define their local range and prioritize sourcing from within that radius. The specialty brand is called FreshPoint and has been built as part of Sysco’s corporate responsibility mission. For simplicity’s sake, a school might find that pressuring their existing FSMC to source their food more locally and sustainably is the most convenient method of encouraging local procurement. Schools that have kitchens with already existing infrastructure have the potential to band together in their districts and partner with local food hubs. Food hubs are an aggregation point where multiple farms can deliver their produce, meat, and dairy, and have it distributed to institutional customers that they would not otherwise be able to supply. Cherry Capital Food Hub is a model food hub in Okemos, Michigan that seeks to create a resilient food system by collaborating with farmers and institutions. By sourcing to preschools, K-12 public and private schools, colleges and universities, hospitals, and eldercare facilities, Cherry Capital Food Hub reduces the amount of logistical work both farmers and institutions have to do to secure an income and food supply, respectively. In the Mid-Atlantic, The Common Market is another alternative food distributor that connects communities to sustainable family farms. 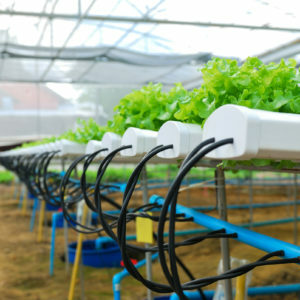 These individual smaller-scale farms wouldn’t have the output or consistency to partner with schools on an individual basis, but by acting as a group, they gain access to this market. Schools using food hubs are given the ability to source locally without having to concern themselves with shortages of specific products. 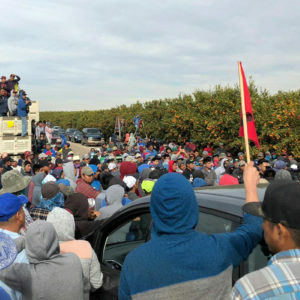 Because farmers negotiate directly with food hubs, they’re able to set prices that provide a livable wage, which might not be the priority of large-scale distributors focused on keeping costs low. One model for students to gain access to local food is for agriculture, nutrition, and school lunch to be integrated directly into a school’s curriculum. More and more schools are recognizing an opportunity for students to be better-versed in food systems and health by installing student-run school gardens. The food grown on campus can further be used to teach students basic and fundamental cooking skills and nutrition education, designating the cafeteria as a classroom in and of itself. The connection between agriculture, cooking, culture, and community has been a subject lacking in most current educational programs, and in the past was only available as a highly gendered subject (home economics). With food grown directly on campus, school food procurement becomes about as hyper-localized as it can get. And having students learn about the difficulties of gardening and farming additionally provides an understanding of why purchasing local and supporting smaller-scale operations can be effective in boosting regional economies and reducing corporate expansion. This shift in educational thought could dramatically affect the way our nation understands and identifies healthy food systems, could reinvigorate cooking as a staple of cultural pride, and could shift wealth distribution by empowering small and regional farms. Alice Waters paved the way for approaching “edible education” with her Edible Schoolyard programs, the first of which originated at a middle school in Berkeley, California. With the intention of using “gardens and kitchens as interactive classrooms for all academic subjects, and a sustainable, delicious, and free lunch for every student,” Edible Schoolyard is pursuing the mission of installing a garden-to-classroom curriculum nationwide. Since its founding in Berkeley in 1995, other Edible programs have developed in New York City, Los Angeles, New Orleans, San Francisco, and Greensboro, North Carolina. Local, state, and federal governments all have a responsibility to advance our nation’s school food system, and local food procurement should both remain and expand as a governmental priority. Under the Obama administration, the 2010 Child Nutrition Reauthorization (CNR): Healthy, Hunger-Free Kids Act was passed, reallocating $4.5 billion to healthy school food over a period of 10 years. The bill focused resources and funding on local food procurement, along with support for farm-to-school networks and nutrition guidelines. Along with allocating funds for local sourcing and the development of school gardens, the bill comprises training for school food staff, and encourages local food procurement on several different levels. 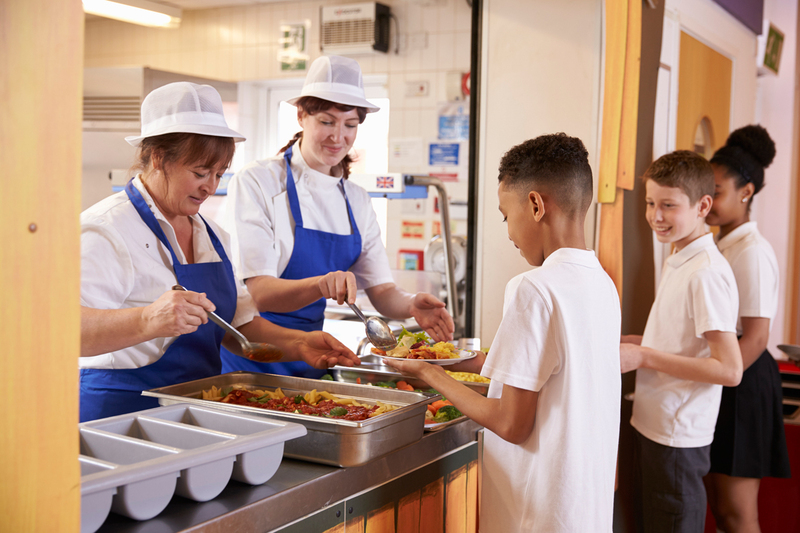 Under the current administration, however, relying on federal support for school food is iffy at best: These programs have been targeted for drastic funding cuts under the budgets currently proposed. State and city governments may need to increase efforts to maintain school food funding and normalize local food purchases. A great model is New York City’s New York Thursdays initiative. The program was organized nationally by the Urban School Food Alliance and seeks to support student health while boosting local agricultural economies. The city is far from accomplishing a 100 percent local menu, even on Thursdays, but the wheels are in motion to begin local food procurement on a citywide basis. Many regions are undertaking their own efforts, allowing for programs that are tailor-made to individual localities, but sustained citizen involvement will be critical for the continued growth and expansion of these programs. The Center prides itself on developing effective strategies for fostering large-scale food system changes by way of procurement power. For example, having partnered with Los Angeles Unified and five other school districts to demand institution-wide change, L.A. schools and the Center agreed to new standards for their purchases. Since one of the standards was that chicken be produced without antibiotics, Tyson lost its contract with the school district to Perdue, which sources antibiotic-free chicken. The National Farm to School Network is another nonprofit advocacy group that enables local food sourcing. The organization provides support to state, regional, and national levels of government for developing school gardens and implementing agricultural education and locally sourced foods. According to their website, the National Farm to School Network has worked with approximately 42,000 schools in all U.S. states. The organization empowers communities to begin their own farm-to-school programs with tools and resources, as well as an online space designed for networking and community building. And if school administrators are still hesitant to attempt a farm-to-school model, the Northwest Food Buyers’ Alliance is an example for how to lessen the strain and facilitate the process of establishing local sourcing. Specifically, they have formed a group of “schools, hospitals, colleges, and universities, assisted living centers, correctional institutions, corporate campuses, event venues, and foodservice operators of all kinds” that source regional food for large-scale institutions, showing how schools can partner with better-staffed institutions to ease the administrative load. In addition, they have provided multiple sets of user-friendly toolkits designed to encourage schools to buy locally. The rising popularity of all five of these methods of local school food procurement illustrates a growing shift toward regional food purchasing. The amount of support from government, nonprofits, food hubs, and schools themselves indicates that parents and educators are beginning to think about the opportunity for education inherent in food. The costs of implementing locally grown school food into schools are challenging; but the costs of not doing so (industrial agriculture, corporate consolidation, childhood obesity) have been far higher. There is real power in procurement, and purchasing local food—especially institutionally—has the potential to dramatically alter our food system, giving agency and sovereignty to farmers, vibrancy to communities, and nourishment to schoolchildren. This post originally appeared on the Ecocentric blog, and is reprinted with permission. I was a full time organic farmer. Economics does not work for small farms and pricing schools can pay. The need to establish regional farms and buy direct from themselves.